We are pleased to invite all interested people to a consultation on the future of The Unity Centre. We have two consultations taking place: Thursday 2 June, 6.30-8.30pm and Tuesday 7 June, 10.30am – 12.30 pm. 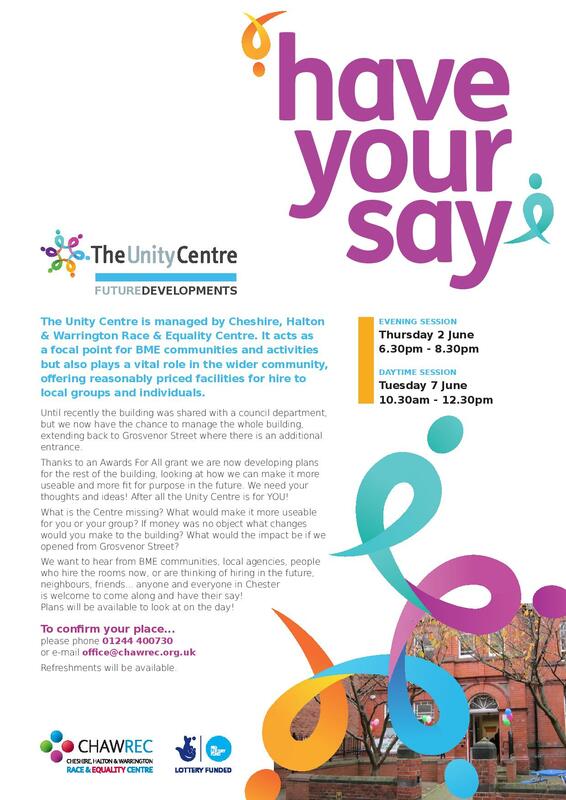 We want to hear from BME Communities, local agencies, people who hire the rooms now or are thinking of hiring in the future, neighbours, friends…anyone and everyone in Chester is welcome to come along and have their say!